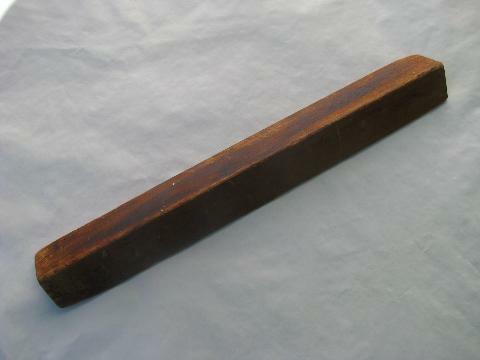 Old wood desk sign for a NCO (non-commissioned officer). 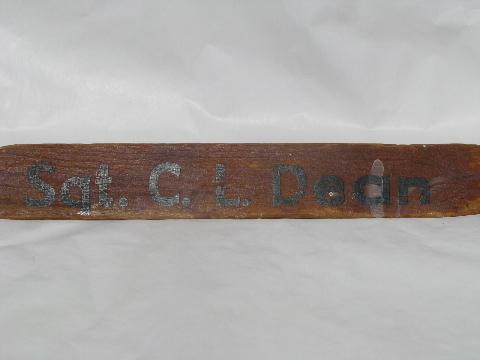 This sign is painted with old black letters for "Sqt C. L. Dean" and measures about 13" long. The wood is rough and weathered and there is wear to the paint on the sign letters.